Neville Inchbald Wilson was born in about 1892 in Harrogate, the son of Harold Inchbald Wilson, a Leeds solicitor, and his wife Helen Mary Wilson, nee Jessop. Neville's grandfather, Thomas Richard Jessop, was an eminent surgeon in Leeds. Neville spent much of his boyhood at Linton Cottage, Linton, and we find him there with his father and aunt, Edith Vaux Wilson, on the night of the 1901 census. Later Neville went to Malvern College in 1906, and was there as a boarder in No. 2 House on the night of the 1911 census. By that time his father's address was given as 139 Bishop's Mansions, SW London. At Malvern, Neville was a minor scholar and a house prefect. He made Mathematics his special study, and it was intended that he should go to Cambridge; but, owing to a change of plans, he went to Canada and joined Guelph College, Ontario. There he studied at Ontario Agricultural College. After he had finished his course there, he was appointed to do work under the Canadian Government, and he was engaged on this when the war broke out. His master at Malvern wrote: "His career at school in a general way, and more particularly the energy and determination he showed in endeavouring to reach the aim he had set before himself, gave certain indications of what might be expected of him when he arrived at the age of manhood." Neville's army career in World War 1 was as an officer in the Royal Welch Fusiliers. He first went to France in 15th August 1915. He was an officer in the 3rd Battalion but was later (at the time of his death) attached to the 4th Battalion. "Thanks to his dauntless courage, splendid leadership, and perseverance, a position captured by another battalion was successfully consolidated by the company under his command, despite intense machine-gun and rifle fire. His contempt of danger, splendid personal example, and devotion to duty inspired his men with the greatest confidence and enabled them to fulfil their task under the most trying and adverse conditions." and the Major-General of the division in which his regiment was, spoke of him as a keen and courageous officer, and his Major says that he was leading his men in a counter-attack on April 6th, when he was killed by machine-gun fire. "During the whole night before the attack he was very cool and collected, thinking only about his dispositions for the attack and the best he could do for his men. I need hardly say he was absolutely fearless, and he seemed to have no other thought than to ‘put up a good show,' which he did. No leader could have been finer, and the troops responded admirably to his leadership." (Malvernian, Jun 1918). 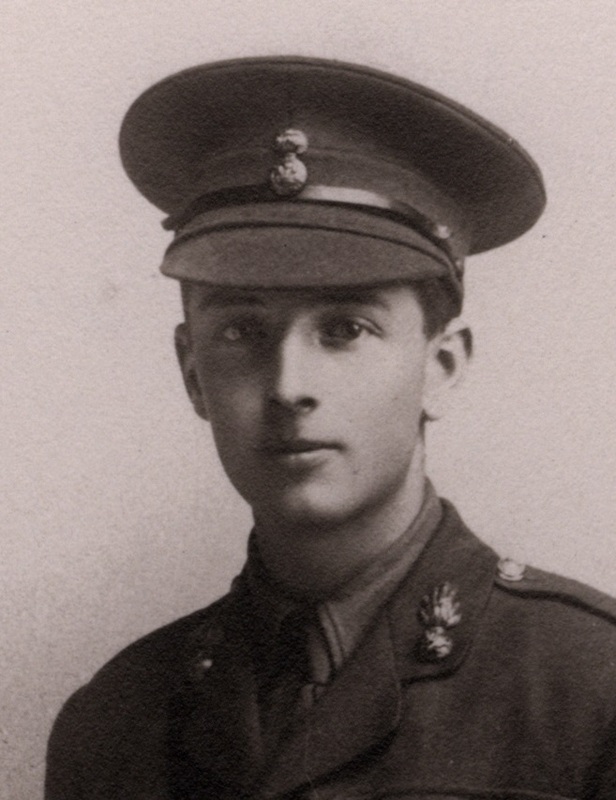 Neville Inchbald Wilson was killed in action on the 6th April 1918 at Aveling Wood. 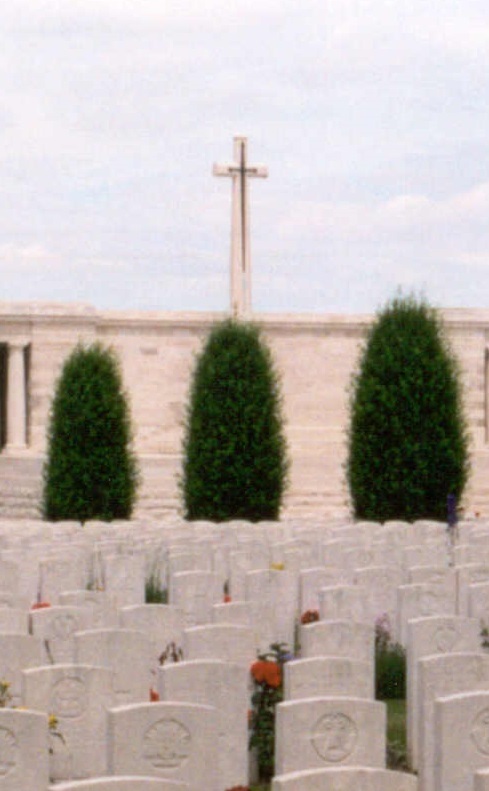 His body was not recovered and Neville is commemorated on the Pozieres Memorial in the Somme.